Is the candidate pool really drying up or are you just wading in the wrong waters? The results are in! 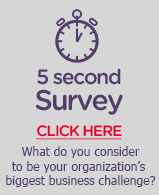 We surveyed hundreds of HR professionals for our Recruitment and Retention Trends report and learned that employers are struggling to find talent for open positions, with more than half of the respondents saying that it is their biggest problem. Interestingly, the survey also uncovered a likely reason why they perceive the talent pool as shallow. According to the data, when evaluating potential hires, most organizations are only focusing on candidates’ skills, experience, and education – or hard criteria – and are not including “soft” criteria, such as personalities and behaviors, as part of the job requirements. 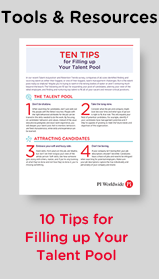 By emphasizing “hard” skills only, they’re inadvertently narrowing their own candidate pool. 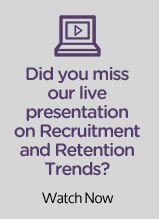 To get a detailed picture of how your peers are doing with their recruitment and retention efforts download the full report. Read, share and comment on the PI Worldwide blog! The objective of any recruiting and hiring strategy is to get the right butts in the right seats. I know…obvious…but efficiently and successfully executing on that strategy to fill open positions is anything but obvious or easy. Hey CEO, You’ve Spent a Boatload on Customer Acquisition… How much have you invested in talent acquisition? Customers buy products and services built, delivered and supported by your people. Subpar people deliver subpar work and no one wants to buy that. Hunting Unicorns. Are We Wasting Our Time Searching for Mythical Candidates? Finding a candidate who is the best fit for an open position and overall corporate culture might as well be a mythical quest. Is HR more of a nuisance than a helper to the business function? Stay up to date with the latest PI Worldwide press coverage! Each firm included on Selling Power’s 2015 Top 20 Sales Training Companies list has the potential to help your company get better results – not just for your team and your company’s bottom line, but also for your customers. Mike Zani discusses the best ways for entrepreneurs to take their companies international. Drew Fortin discusses the importance of communication with your boss when you feel your job may be at stake.